The Easter Bunny knows your name! 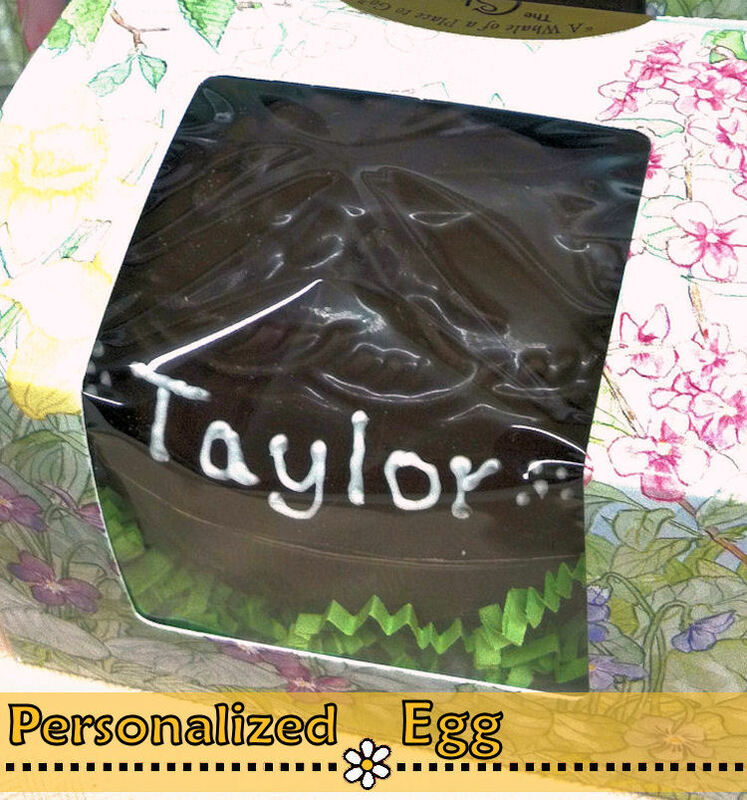 Make your Easter treats extra special with the recipient's name written on their bunny or egg. Maria will hand letter any name with royal icing on any suitable chocolate. 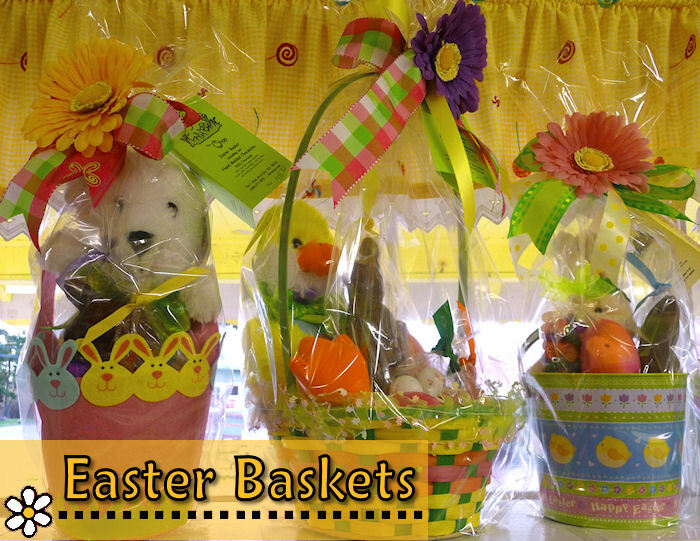 Just come in, select your Easter chocolate, and tell us what you would like her to write. Your customized piece will be available for pickup the next day. No extra charge! The Easter Bunny visits The C Shop every year! After Christmas, The C Shop Cafe undergoes a magical transformation changing from a homey eating establishment into the main production area for our chocolate Easter bunnies. The bunnies come in gangs, often during the dark of night, and take residence on all the shelves. 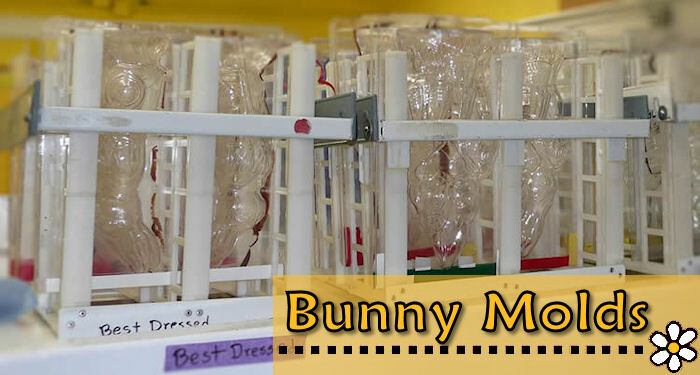 Before long the bunny gangs have molded hundreds of bunnies of many shapes and sizes and are covering nearly every tray in the place. 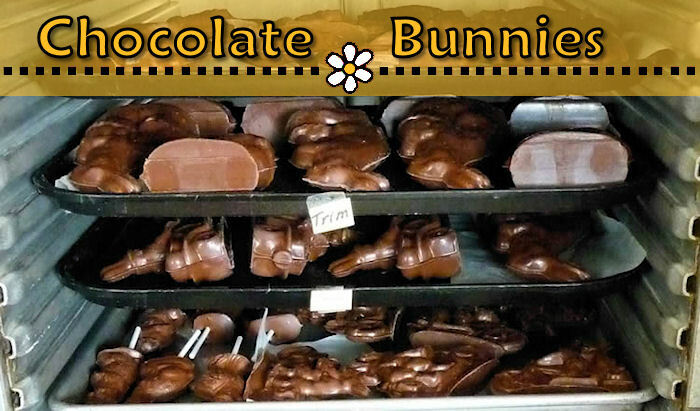 There are dark chocolate bunnies and milk chocolate bunnies and white bunnies, lambs, and chicks. There are chickens and eggs (which one was first?) and dogs and ducks. Cats and carts and bunnies with packs. Poodles and ponies and even a band. So many bunnies, it's a wonder it doesn't get out of hand! 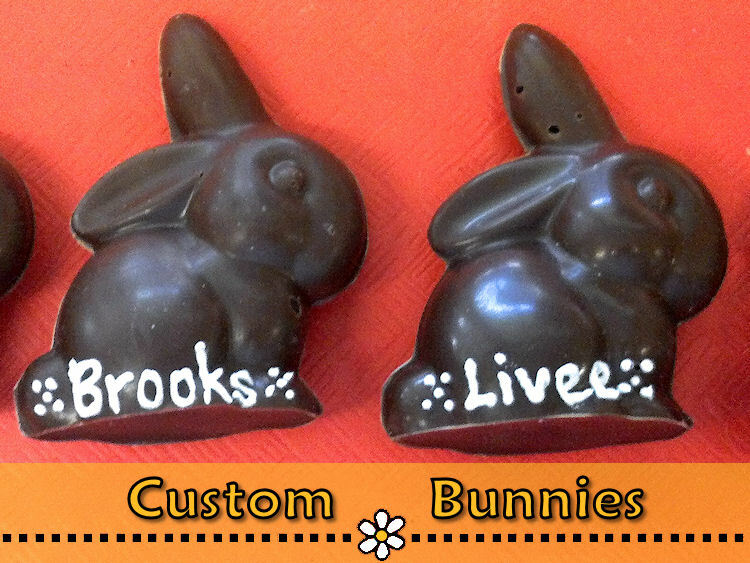 Soon after the bunnies are packaged up, some decked out in bows, and delivered to various retail stores such as the Co-ops in Skagit and Whatcom Counties, St. Joseph's Gift Nook at the hospital, 5b's Bakery in Concrete, Paper Dreams in Fairhaven and Lynden, and to The C Shop's own candy cases. 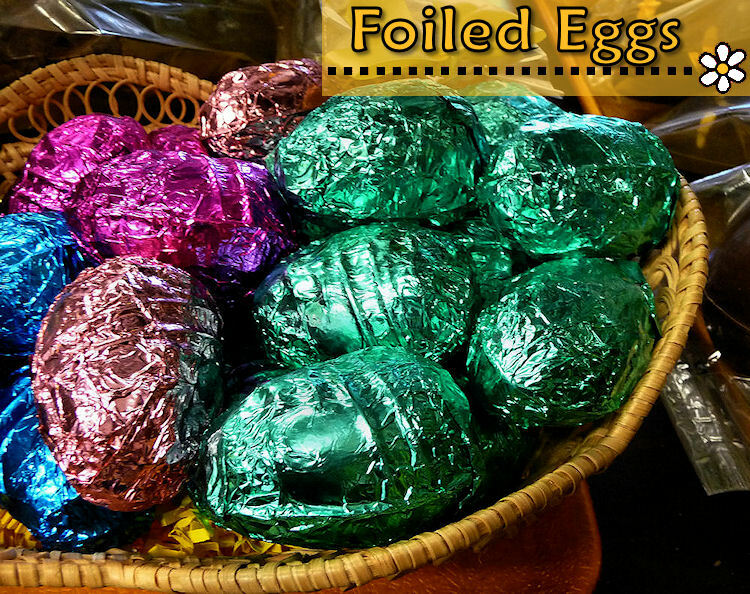 After that it's just a matter of time before you find one in your Easter basket! Patrick has been putting on the community Easter Egg Hunt at The C Shop for many years now and each year is bigger and better than the last! There are toys and snow cones for the kids and therapeutic dark chocolate for the parents. 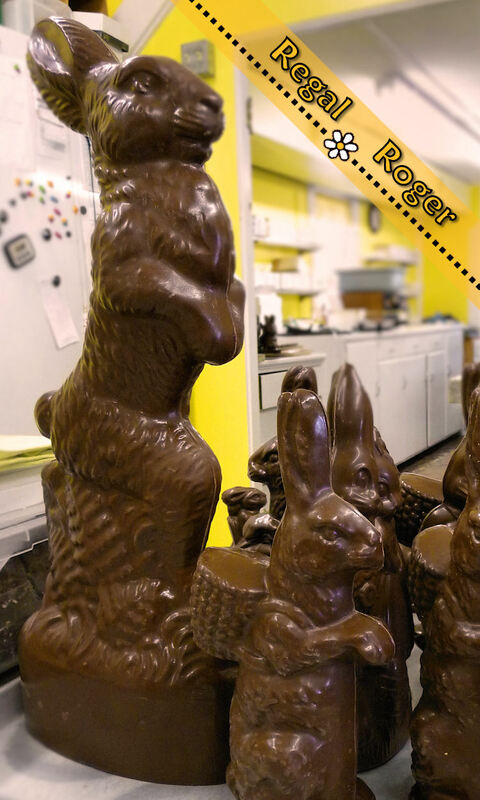 Sometimes, you can see our giant chocolate bunnies "Annabelle" and "Regal Roger" on display and enter a drawing to win a large bunny or an Easter basket. 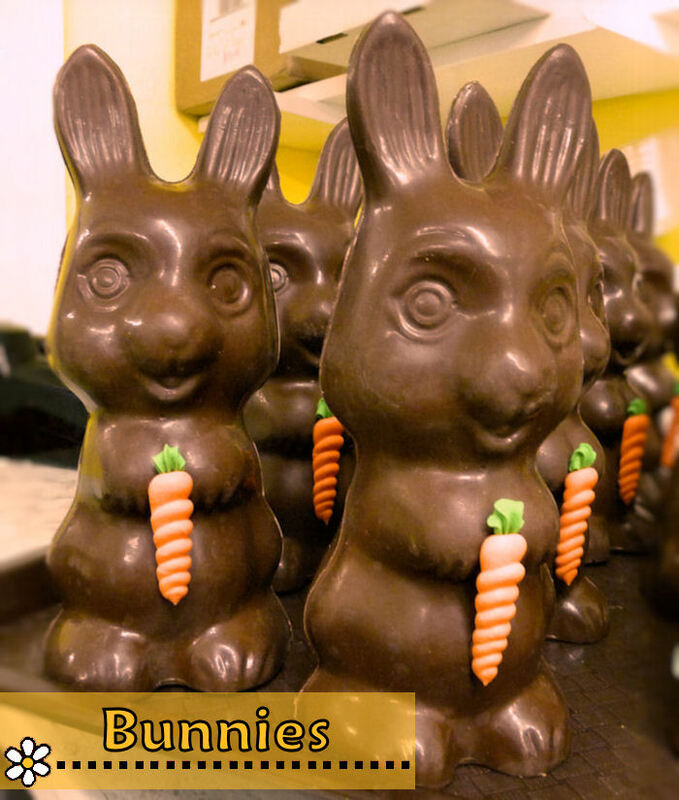 If you want to learn more about how Easter bunnies are made, check out this blog post from the 2010 season or ask for a brochure when you're visiting the shop. Sometimes, if you're really lucky, you can even get a quick tour.